Running successful business is task. 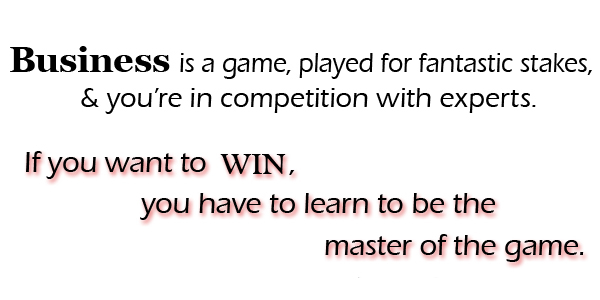 Many of you must be master in that, but many must be looking for tips for business to be successful. Let’s answer following question before moving ahead for quick tips for successful business. Do you want your business to be successful? Do you want to increase productivity of employees? Do you want to increase profitability in business? Are you seeking help to maintain engagement level of employees? If answer of above question is YES than you are at right place we are here to address all above concern by giving you quick tips for running successful business. First and foremost thing you should do is to hire correct employees for your business. You should hire employees with area knowledge, expertise and good experience in respective field. Always check reference before hiring person. Also check if person is capable of handling the responsibilities at work. You should give tough and achievable target to employees. Remember without work or target you may loss productivity of employees. Take daily/weekly review of work assigned to employees. Productivity of employees depends upon multiple things and one of the factor is office space. Sometimes congested workplaces discourage employees at work. Make your workplace more spacious to move around. Remember together everyone achieves more. Your employees should work as team rather than individual. You must take steps to build strong team. One can perform better if you give him/her friendly environment. You can make your workplace vibrant and full of energy by arranging for some recreation and refreshment activity quarterly. Remember continuous working will not help your company to grow. Employees can work efficiently if he is given a good break for 15-20 days from his work at least twice in year. You should give facility of LTA so that employee plans to take good outdoor vacation. This will make employee happy and satisfied. You should always think of enhance skill and competency level of your employees. Regularly arrange training program to enhance productivity of employees. You should think of imparting more area specific knowledge to employee. You can ask your employee to subscribe to magazine or may think of giving internet facility to your employee. No matter how busy you are, be sure to celebrate success with your employees. Remember taking time out to recognize results will re-energize you and your team for the next challenge. If you own website for your business you must update it at regular interval. If it requires change in design or enhancement of features make sure you apply it. You must increase your online/offline presence by advertising about your business in local newspapers or online classified sites. This will help you to grow your business. You should take advantage of social media to grow your business. Facebook and Google provide facility to create business page/profile online. Create & update your page on facebook and google at regular interval. Usage of Social media can enhance your business drastically. You must manage your finance effectively; accounting software like tally can help you to digitize your data. Regularly monitor your finance need and arrange for working capital accordingly. You have to plan for future expense and future growth. If you can’t fund growth from profits, investigate options for outside financing like bank loans or venture capitalist. Always make advancement in technology usage. Upgrade your old software, operating system or desktop, tablet or laptop. Innovation in product always helps to make business successful. Keep on thinking about new ideas and ways to improve product. You should never underestimate your rivals. Keep watch on your competition product and market share. Evolve strategy based on movement of competition. Always keep your customer satisfied with product and service. Remember one satisfied customer can bring 10 more customers, but dissatisfaction of one customer can take away 100 more customers. You should research for new market or opportunity. Adopt Blue Ocean market strategy to make competition irrelevant. Identify and retain good resource by giving them good rewards. Remember you need good manpower to be become successful in business. 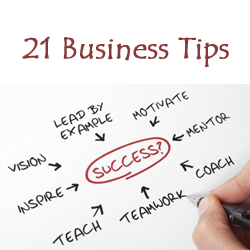 Regularly appraise business situation and take necessary steps towards betterment of business.